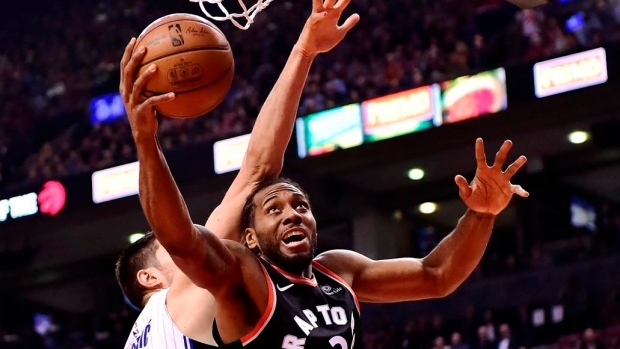 TORONTO — The Toronto Raptors are about to tip off perhaps the most-anticipated post-season run in franchise history. The Raptors rebuilt their team with a long playoff run in mind, but can't look past the Orlando Magic, who handed Toronto two of its ugliest losses of the regular season. A player who thrives when the lights are brightest, Leonard is expected to crank it up in the post-season, showing glimpses of another level down the stretch. Nurse and Raptors fans can't wait to see "playoff Kawhi." THE SPANISH ACQUISITION: Shipping Jonas Valanciunas to Memphis for Marc Gasol at the trade deadline was a big blow to fans who loved the big Lithuanian. But the numbers don't lie. Ball movement has improved since the trade, with the Raptors recording assists on 65.5 per cent of their baskets — fourth best in the league, and up from 57.8 per cent (22nd in the league) pre-deal. EXPERIENCE: The Magic, who are making their first post-season appearance since 2012, resemble the Raptors from previous playoff campaigns — young overachievers. Orlando's starters have just 33 games between them, 28 of them belonging to guard D.J. Augustin. Even all-star centre Nikola Vucevic has played in just one post-season game, in 2012 with Philadelphia. FAMILIAR FACES: As Terrence Ross walked off the Scotiabank Arena court after scoring 28 points on Toronto this past regular season, the former Raptor said to a teammate "That was one of my favourite wins of my career." The Raptors can't give Ross any more favourite nights.